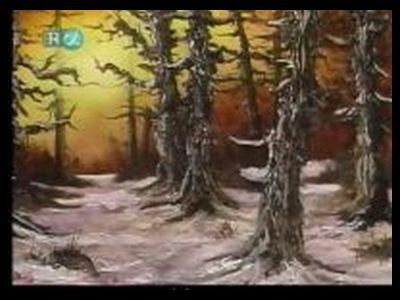 Hike into the midst of a snow-covered forest with Bob Ross and enjoy the beauty of leafless trees in slumber and texture you can almost feel. 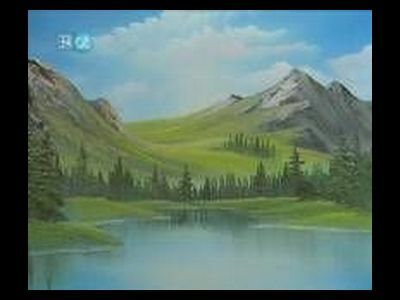 Relish the tranquility of valley waters gently falling into a quiet summer mere - smooth cliffs and trees frame this Bob Ross wonderland. 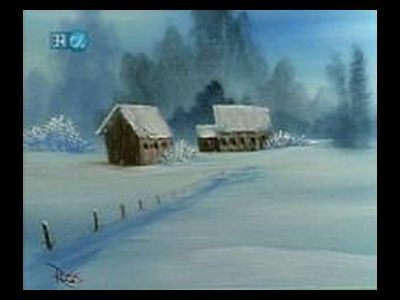 Venture into the heart of Americana with Bob Ross and discover the serenity of a snow-covered farmhouse and barn on a cold January day. 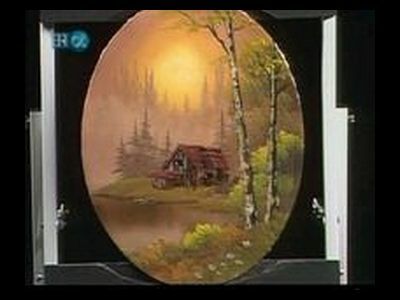 A perfect oval composition! 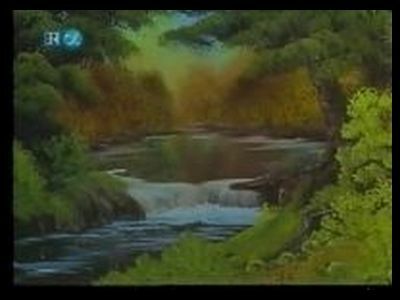 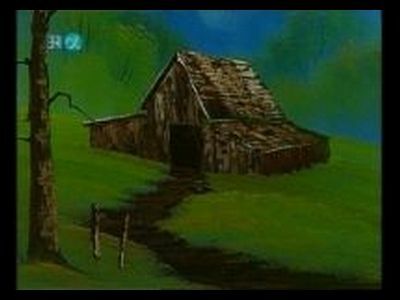 Come along with Bob Ross and see a secluded cottage with wild daisies and birch trees near a small woodland pond. 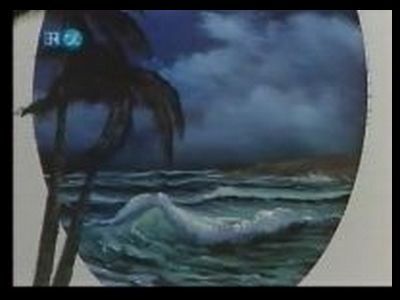 Travel to the tropics with Bob Ross, stroll along the palm tree shores and drink in the soul-cleansing beauty of the sea. 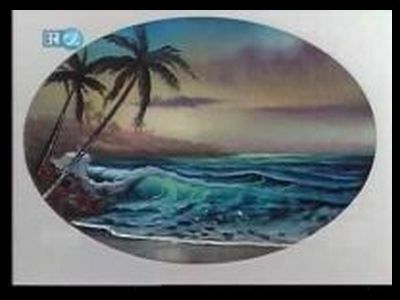 An oval masterpiece you'll enjoy. 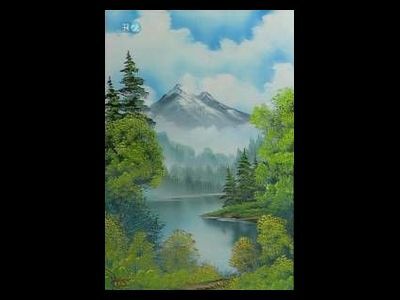 Bob creates a moment in time as the sea finds itself in one of nature's sudden cloudbursts; experience another oval masterpiece! 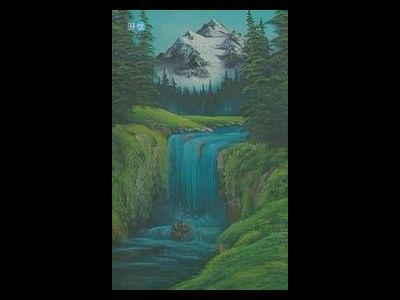 Bob creates a beautiful golden warm waterfall scene, employing a lovely almost watercolor-looking effect. 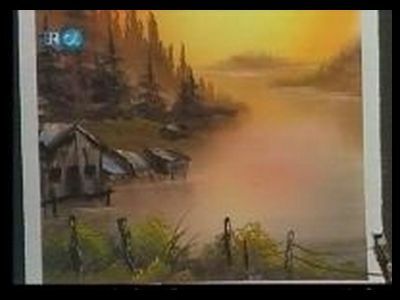 In the golden glow of sunrise, join Bob for a refreshing look at early morning where anglers work and thrive - all inside an uniquely framed painting. 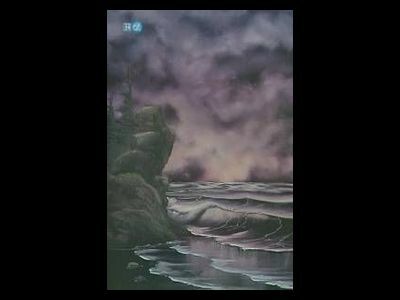 A mood-filled seascape is painted on a black canvas. 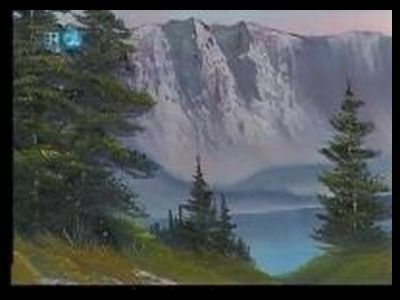 Follow Bob Ross into a lovely mountain setting with magnificent evergreens, where the first touches of snow appear in the valley. 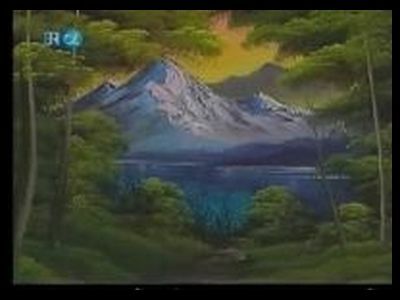 Discover a beautiful quiet lake hidden deep in the wilderness - and just beyond a glorious snow-covered mountain! 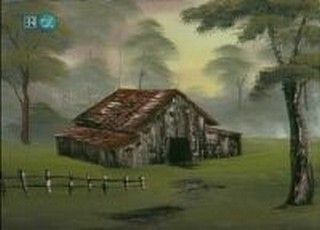 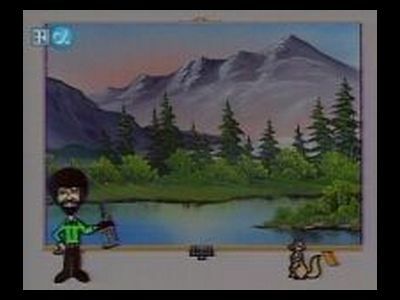 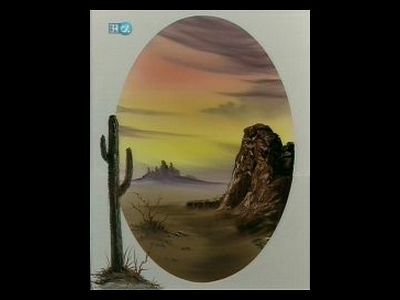 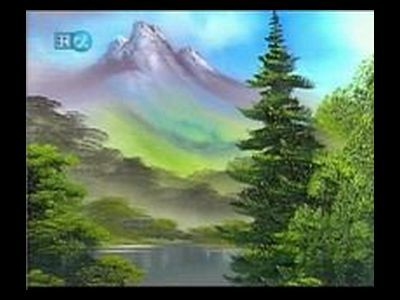 - from the magical brushes of Bob Ross. 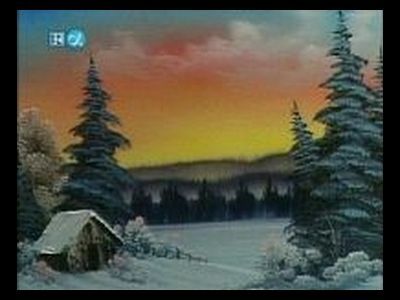 Today Bob Ross paints a warm and elegant snow-kissed scene with a little cabin snuggled deeply into the embrace of foothills, evergreens and bushes. 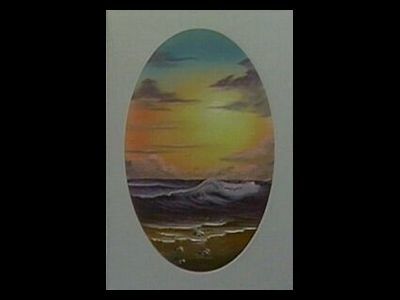 Bob paints the tide heading out to see at sunset, complete with rolling waves and a gorgeous sky. 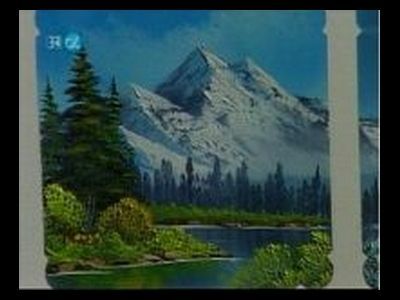 Warm skies, pleasant valley and purple misty mountains - the perfect place to pitch your tent and enjoy the view with painter Bob Ross. 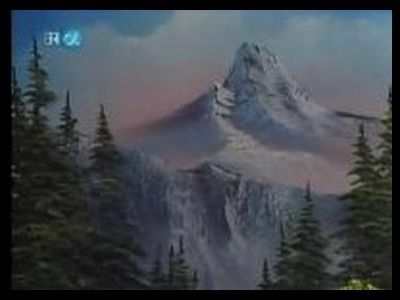 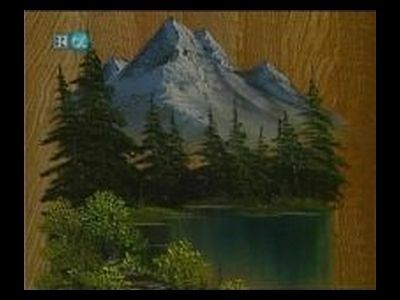 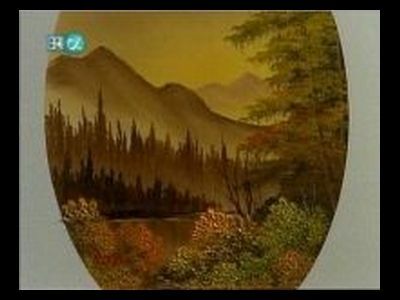 Bob paints a majestic mountain peak surrounded by trees and blue skies.